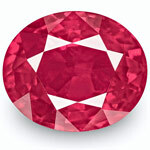 Buy Gemstones Online at Wholesale Prices... Save Precious Time and Money. We, at StarRuby.in bring you an unmatched collection of natural gemstones - cut and polished in India, the largest gem cutting centre in the world. We specialize in Premium Gemstones such as Rubies, Sapphires, Emeralds, Star Rubies, Star Sapphires, Padparadscha, Chrysoberyl Cat's Eye and Alexandrite. All our gemstones are 100% Natural & Untreated... No Heating, No Filling, No Diffusion, No Radiation, No Bleaching, No Chemicals, No Treatments... Nothing but Natural Gemstones, mined from Earth. We always strive to provide our customers with the best in quality and our ultimate aim is to make Natural Gemstones affordable. 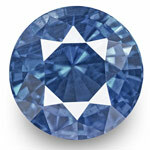 Come, browse our online inventory and get lost in the magical world of gemstones! What We Offer: Affordable Prices | Swift Shipping | Secure Shopping Experience | Priority Customer Care | No-Risks Return Policy | Free Nice Packing | and more! My Ideal Star Ruby ring!